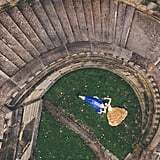 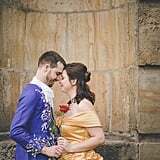 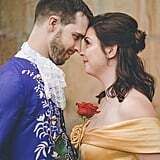 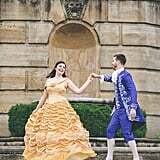 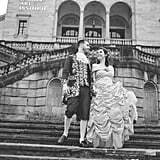 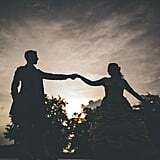 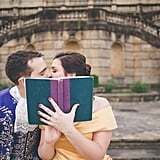 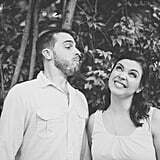 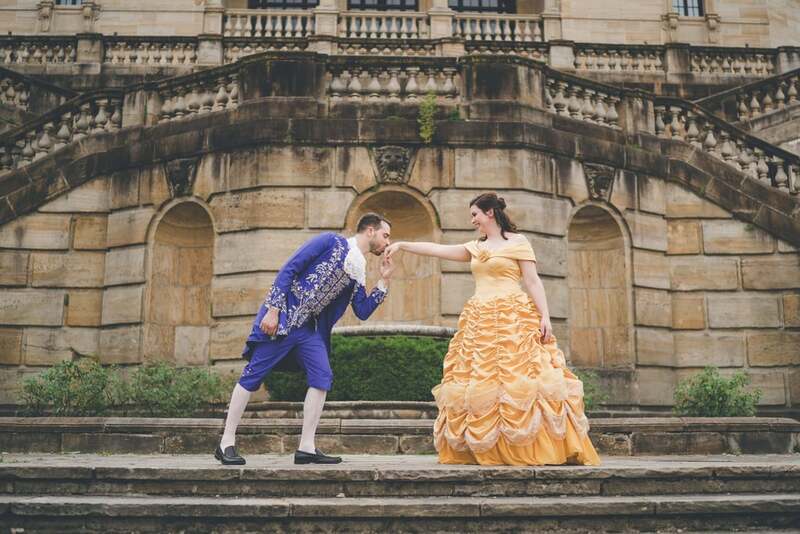 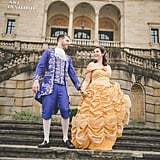 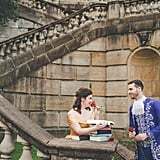 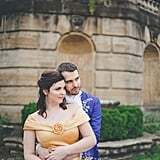 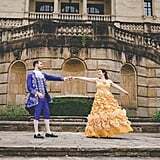 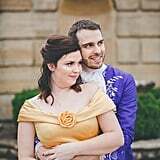 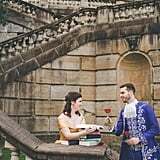 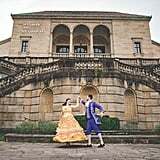 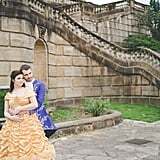 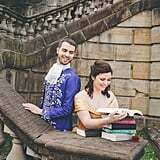 Lydia and Patrick celebrated their engagement by emulating Beauty and the Beast in this gorgeous themed photo shoot that took place at the Dayton Art Institute in Ohio. 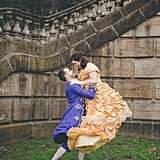 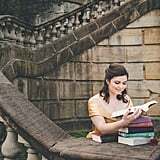 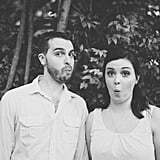 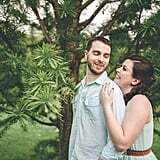 Photographer Sarah Babcock was there to capture these cute moments between the couple, and she said that the day was "a romantic cosplay Beauty and the Beast engagement session." 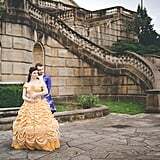 Lydia wore a stunning golden gown with pleated detailing to channel her inner Belle, and it looked straight out of the Disney fairy tale. 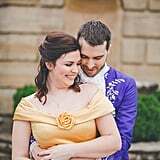 Patrick wore a royal blue tailcoat embellished with golden buttons and embroidery with matching pants and white knee-length socks. 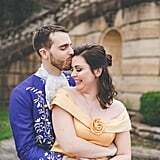 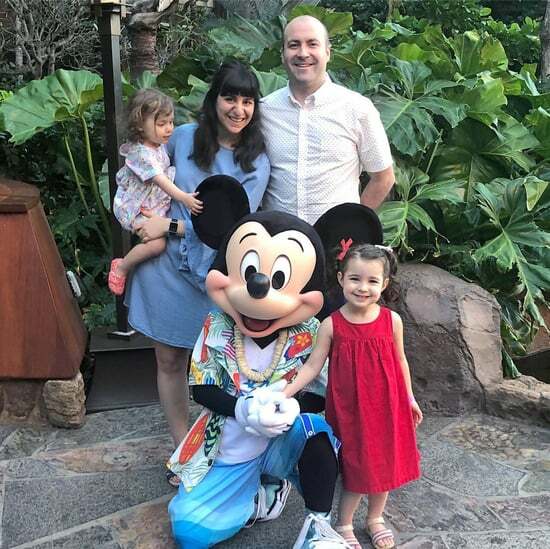 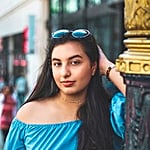 The pair then swapped their costumes for matching baby-blue outfits to pose at a secondary outdoor location with an "And they lived happily ever after" sign to stick with the fairy-tale theme. 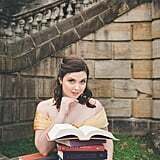 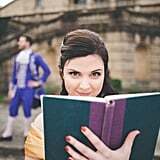 Lydia even posed with some books, which was a nod toward Belle's love of reading in Beauty and the Beast. 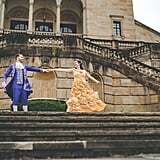 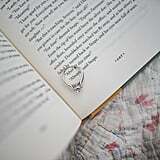 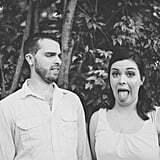 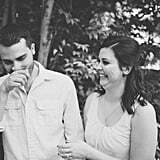 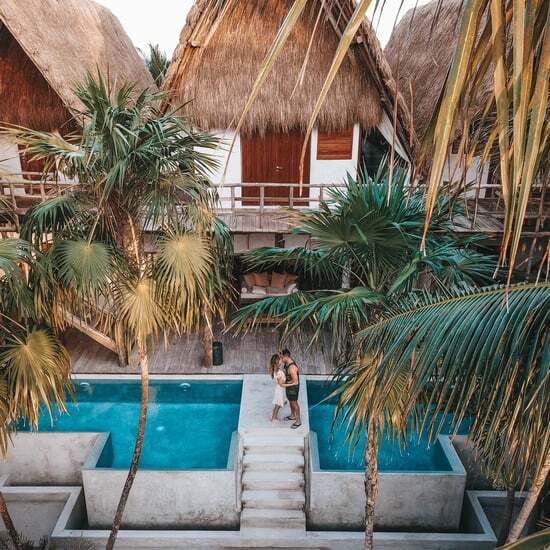 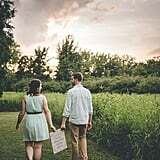 See the gorgeous photos from this fantastical engagement shoot ahead. 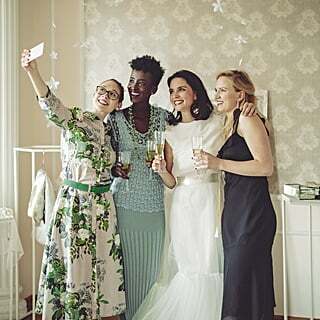 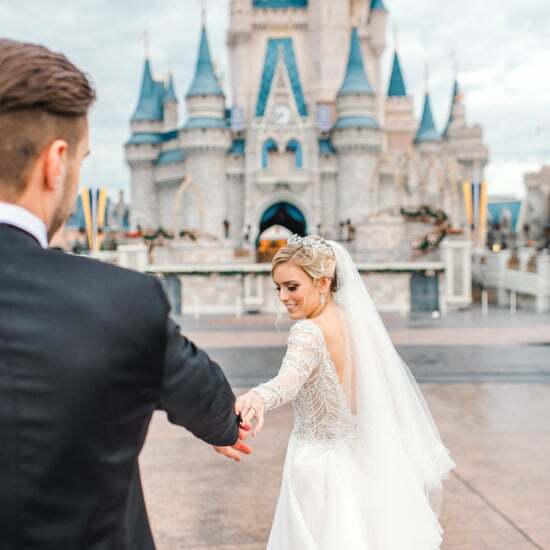 Bippity Boppity Boo, This Disney Princess Wedding Is a Dream Come True!